good morning, good afternoon and good evening! you've found your way to the official hit start podcast! Two aussie blokes that enjoy video games and video game news and most things pop culture! we started gaming from an early age and it has grown into the love we have for gaming today! what we want to do with the podcast is have a fun and informative and welcoming podcast for anyone interested in anything gaming! Star wars Fallen Order, Psn name changes, Horizon Zero Dawn leaked and more! Prince harry wants to ban fortnite, borderlands 3 announcements, baba is you and heaps more! Good morning, good afternoon and good evening! welcome to the Hit Start Podcast! in this episode we speak about Lukes take on Baba is you, prince harry wants to ban fortnite and heaps more! In each episode of the podcast we take you on the journey of the video game news you need to know, plus the all the new games we've been playing and of course the old, if you like that make sure you check out our patreon. patreon.com/hitstartpod for more content! Come join us for some spoiler free fun each and every week for your listening pleasure Have a gander at our socials to stay up to date with whatever we post! @hitstartpod on Facebook, Twitter and Instagram! Thanks for listening and we'll see you next week! episode 23: Our thoughts on Australian Esports plus a heap more! Good morning, good afternoon and good evening! welcome to the Hit Start Podcast! in this episode we speak about GameStop moving into Esports and our takes on the Australian esports scene, we go over Sonys state of play and a whole heap more! In each episode of the podcast we take you on the journey of the video game news you need to know, plus the all the new games we've been playing and of course the old, if you like that make sure you check out our patreon. patreon.com/hitstartpod for more content! Come join us for some spoiler free fun each and every week for your listening pleasure Have a gander at our socials to stay up to date with whatever we post! @hitstartpod on Facebook, Twitter and Instagram! Thanks for listening and we'll see you next week! episode 22: our twenty second episode! Good morning, good afternoon and good evening! welcome to the Hit Start Podcast! this episode is our twenty second episode! i hope you enjoy! In each episode of the podcast we take you on the journey of the video game news you need to know, plus the all the new games we've been playing and of course the old, if you like that make sure you check out our patreon. patreon.com/hitstartpod for more content! Come join us for some spoiler free fun each and every week for your listening pleasure Have a gander at our socials to stay up to date with whatever we post! @hitstartpod on Facebook, Twitter and Instagram! Thanks for listening and we'll see you next week! Good morning, good afternoon and good evening! welcome to the Hit Start Podcast! during this episode we go over google stadia, playstation state of play predictions and a whole heap more! In each episode of the podcast we take you on the journey of the video game news you need to know, plus the all the new games we've been playing and of course the old, if you like that make sure you check out our patreon. patreon.com/hitstartpod for more content! Come join us for some spoiler free fun each and every week for your listening pleasure Have a gander at our socials to stay up to date with whatever we post! @hitstartpod on Facebook, Twitter and Instagram! Thanks for listening and we'll see you next week! Good morning, good afternoon and good evening! welcome to the Hit Start Podcast! In each episode of the podcast we take you on the journey of the video game news you need to know, plus the all the new games we've been playing and of course the old, if you like that make sure you check out our patreon. patreon.com/hitstartpod for more content! in this weeks episode, we chat about snapchats gaming ventures, gearbox studios big moves and a heap more so Come join us for some spoiler free fun each and every week for your listening pleasure Have a gander at our socials to stay up to date with whatever we post! @hitstartpod on Facebook, Twitter and Instagram! Thanks for listening and we'll see you next week! episode 19: google's new controller, a disc-less xbox and more! Good morning, good afternoon andgood evening! welcome to the Hit Start Podcast! In each episode of the podcast we take you on the journey of the video game news you need to know, plus the all the new games weve been playing and of course the old, if you like that make sure you check out our patreon. patreon.com/hitstartpod for more content! in this weeks episode, we chat about nintendo's VR ventures, a disc-less xbox controller and a heap more so Come join us for some spoiler free fun each and every week for your listening pleasure or catch us record it live on Mondays 5pm aedt on twitch twitch.tv/stickersplays Have a gander at our socials to stay up to date with whatever we post! @hitstartpod on Facebook, Twitter and Instagram! Thanks for listening and we'll see you next week! episode 18: Pokemon sword and sheild recap! Good morning, good afternoon and good evening! welcome to the Hit Start Podcast! In each episode of the podcast we take you on the journey of the video game news you need to know, plus the all the new games weve been playing and of course the old, if you like that make sure you check out our patreon. patreon.com/hitstartpod for more content! In this weeks episode we chat about everything Pokemon Sword and Shield plus a heap more! so Come join us for some spoiler free fun each and every week for your listening pleasure or catch us record it live on Mondays 5pm aedt on twitch twitch.tv/stickersplays Have a gander at our socials to stay up to date with whatever we post! @hitstartpod on Facebook, Twitter and Instagram! Thanks for listening and we'll see you next week! episode 17: pokemon hype, reggie retires and more! good morning, good afternoon and good evening! 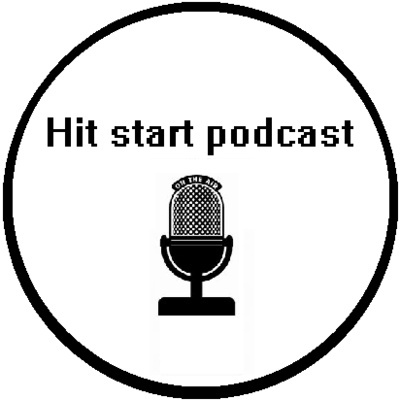 welcome to the hit start podcast! in each episode of the podcast we take you on the journey of the video game news you need to know, plus the all the new games weve been playing and of course the old, if you like that make sure you check out our patreon. patreon.com/hitstartpod for more content! episode 17 we take a look at the new detective Pikachu trailer, the hype for Nintendo direct, Reggie retiring and so much more! if you enjoy this please rate us 5 stars on itunes. so Come join us for some spoiler free fun each and every week for your listening pleasure or catch us record it live on Mondays 5pm aedt on twitch twitch.tv/stickersplays Have a gander at our socials to stay up to date with whatever we post! @hitstartpod on Facebook, Twitter and Instagram! Thanks for listening and we'll see you next week! good morning, good afternoon and good evening! welcome to the hit start podcast! in each episode of the podcast we take you on the journey of the video game news you need to know, plus the all the new games weve been playing and of course the old, if you like that make sure you check out our patreon. patreon.com/hitstartpod for more content! episode 15 we were joined by drew from the podcast the house of mario to chat about the nintendo direct, a super enjoyable episode, if you enjoy this please rate us 5 stars on itunes. you can follow drew on all his socials @idrewby @thehouseofmario or you can search for him on your favorite podcast app by searching the house of mario. so Come join us for some spoiler free fun each and every week for your listening pleasure or catch us record it live on Mondays 5pm aedt on twitch twitch.tv/stickersplays Have a gander at our socials to stay up to date with whatever we post! @hitstartpod on Facebook, Twitter and Instagram! Thanks for listening and we'll see you next week! episode 14: apex legends killing it! good morning, good afternoon and good evening! welcome to the hit start podcast! in each episode of the podcast we take you on the journey of the video game news you need to know, plus the all the new games weve been playing and of course the old, if you like that make sure you check out our patreon. patreon.com/hitstartpod for more content! episode 14 we took a look at apex legends killing it, EA not happy witht there fiscal year results and heaps more! if you enjoy this please rate us 5 stars on itunes. so Come join us for some spoiler free fun each and every week for your listening pleasure or catch us record it live on Mondays 5pm aedt on twitch twitch.tv/stickersplays Have a gander at our socials to stay up to date with whatever we post! @hitstartpod on Facebook, Twitter and Instagram! Thanks for listening and we'll see you next week! good morning, good afternoon and good evening! welcome to the hit start podcast! this is our first patreon episode now live and free for your listening pleasure. make sure you go show our guest some love over on twitter @aimeesmithva or her website. https://www.aimeesmithva.com aimee has worked on a heap of games including battlerite and freedom plantet! if you enjoyed this episode let us know! a heap more of these episodes in the works with the people who make the game we love in each episode of the podcast we take you on the journey of the video game news you need to know, plus the all the new games weve been playing and of course the old, if you like that make sure you check out our patreon. patreon.com/hitstartpod for more content! know! if you enjoy this please rate us 5 stars on itunes. so Come join us for some spoiler free fun each and every week for your listening pleasure or catch us record it live on Mondays 5pm aedt on twitch twitch.tv/stickersplays Have a gander at our socials to stay up to date with whatever we post! @hitstartpod on Facebook, Twitter and Instagram! Thanks for listening and we'll see you next week! good morning, good afternoon and good evening! welcome to the hit start podcast! in each episode of the podcast we take you on the journey of the video game news you need to know, plus the all the new games weve been playing and of course the old, if you like that make sure you check out our patreon. patreon.com/hitstartpod for more content! episode 13 we took a full dive into kingdom hearts 3 and spoke at length about the good and bad about the game we've all waited over a decade for! we also speak about all the wonderful video game news you need to know! if you enjoy this please rate us 5 stars on itunes. so Come join us for some spoiler free fun each and every week for your listening pleasure or catch us record it live on Mondays 5pm aedt on twitch twitch.tv/stickersplays Have a gander at our socials to stay up to date with whatever we post! @hitstartpod on Facebook, Twitter and Instagram! Thanks for listening and we'll see you next week! episode 12: farming simulator the next esport, metroid prime 4 restart and more! good morning, good afternoon and good evening! welcome to the hit start podcast! in each episode of the podcast we take you on the journey of the video game news you need to know, plus the all the new games weve been playing and of course the old, if you like that make sure you check out our patreon. patreon.com/hitstartpod for more content! in this episode we talk about farming simulator joining the esports table, metroid primes restart and so much more! plus chat about the games we've been playing so Come join us for some spoiler free fun each and every week for your listening pleasure or catch us record it live on Mondays 5pm aedt on twitch twitch.tv/stickersplays Have a gander at our socials to stay up to date with whatever we post! @hitstartpod on Facebook, Twitter and Instagram! Thanks for listening and we'll see you next week! Episode 11: neopets on mobile! good morning, good afternoon and good evening! welcome to the hit start podcast! in this episode of the podcast we take you on the journey of the video game news you need to know, if you like that make sure you check out our patreon patreon.com/hitstartpod for more content! one of our favorite games from the late 90s and early 2000s neopets will be making a return into our hearts and pockets in 2019, we dig into this and what mobile titles we think would make good additions to mobile gaming. we also go into some of the news about a new dragon ball rpg, plus chat about the games we've been playing so Come join us for some spoiler free fun each and every week for your listening pleasure or catch us record it live on Mondays 5pm aedt on twitch twitch.tv/stickersplays Have a gander at our socials to stay up to date with whatever we post! @hitstartpod on Facebook, Twitter and Instagram! Thanks for listening and we'll see you next week! good morning, good afternoon and good evening! episode 10 or episode 2 of 2019? we'll let you decide, in this episode of the podcast we take you on the journey of the video game news you need to know, if you like that make sure you check out our patreon patreon.com/hitstartpod for more content coming soon! this episode was hot and steamy! in this episode we go over ps4 sale numbers and go in depth with that, bungie and actvisons break up and what that means division 2 not going with steam and opting for epic games browser a pokemon tamagotchi and so much more, so Come join us for some spoiler free fun each and every week for your listening pleasure or catch us record it live on Mondays 5pm aedt on twitch twitch.tv/stickersplays Have a gander at our socials to stay upto date with whatever we post! @hitstartpod on Facebook, Twitter and Instagram! Thanks for listening and we'll see you next week! Good morning, good afternoon and good evening! welcome to 2019 and another episode of the hit start podcast! in this episode we go over our best and worst games of 2018 and what we are excited to come in 2019! Come join us for some spoiler free fun each and every week for your listening pleasure or catch us record it live on Mondays 6pm aedt on twitch twitch.tv/stickersplays Have a gander at our socials to stay upto date with whatever we post! @hitstartpod on Facebook, Twitter and Instagram! Thanks for listening and we'll see you next week! episode 5: is fallout and bethesda shotting themselves in the foot! red dead online and pokemon go gets pvp! episode 5: is fallout and bethesda killing shotting themselves in the foot! red dead online and pokemon go gets pvp! Episode 4: fallout 76, Pokemon let's go! And China bans winnie the pooh!! Episode 3: SONY NOT AT E3 WHA?!? Pokemon let's go, fallout 76, Florence and more! Episode 3: SONY NOT AT E3 WHA?!? Pokemon let's go! Kingdom hearts and more! Episode 2: runescape mobile, XO18, and more! Episode 1: red dead redemption 2, Nintendo direct and more!